Mr Rose standing by the small fenced enclosure around the stem of the horse chestnut at the site of the 'bush', August 2013. 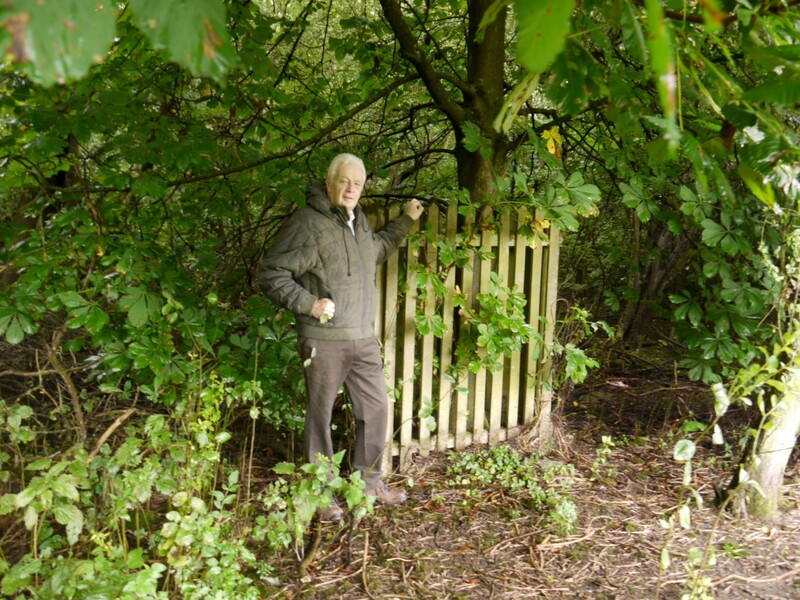 A series of photographs taken at locations around the parish boundary of Bottesford including the old boundary between the old parishes of Bottesford and Muston (as it was before their amalgamation into the present parish of Bottesford and Muston). Locations include the Three Shires Bush, which is the tree planted at the point on the parish boundary that is also the point at which the county boundaries of Leicestershire, Nottinghamshire and Lincolnshire meet.